The music of Def Leppard is featured on “Lullaby Versions Of Def Leppard”, the latest release from Twinkle Twinkle Little Rock Star. 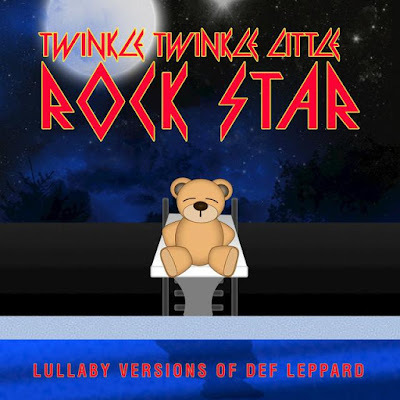 The company which creates "beautiful lullaby versions of your favorite artists" was born for the parent that wants to pass along their passion for music to their child by transforming popular music into instrumental lullabies perfect for babies, yoga or just relaxation. Def Leppard are currently playing dates on a North American summer tour with Styx and Tesla.